Storing hot food before allowing it to cool. Storing uncovered liquids and food. These items release moisture that will make the compressor work harder. Opening the fridge door too often. Not shopping enough. A well-stocked refrigerator will retain cold air more effectively. Check for leaks and cracks in door seals that allow cool air to escape. Check for dust buildup around the condenser coils. Some refrigerators should be manually defrosted periodically. Do not position it beside other heating appliances. Do not place it within direct exposure to sunlight. Use glass or ceramic dishes. You can reduce the temperature to as much as 25 degrees and the food will still cook just as quickly. Bake in batches. Cook several items at the same time to ensure all the space and heat are being used. For small- to medium-sized meals, it pays to use the microwave oven or slow-cook crock pot instead. 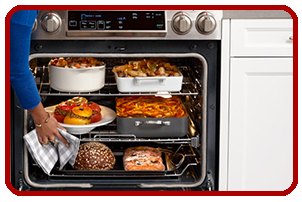 It will use up less energy than your standard oven. Defrost frozen food overnight. Defrosting in advance will cut the cooking time by half. Cut food into smaller pieces. This will cook your dish more quickly. Use an oven timer instead of opening the oven door to check your food. Each time you open the door, the temperature drops, and the oven will work harder to bring it back to normal. Flat-bottom pans with straight sides and tight lids allow food to heat up more quickly. Copper-bottom pans heat up faster than regular steel pans. Cast-iron pans retain heat more efficiently but may scratch some glass stovetops. Clean the grease vent or exhaust fans of your kitchen range hood in order to keep them running in top condition. Clean the electric rings because burnt bits of food absorb heat that should have been directed to the cookware. Choose the right size of ring or burner for the cookware. Start food on a higher heat, then switch to a lower setting when the dish reaches cooking temperature. Keep lids on pans as much as you can, in order to promote heat retention. Run your dishwasher at night and off-peak hours. 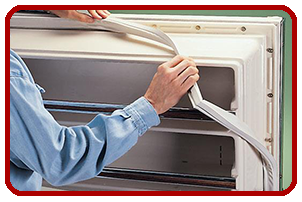 Use the dishwasher during the cooler parts of the day to conserve heat and energy. Avoid pre-rinsing. Modern dishwashers are already built to clean heavily soiled dishes. Just scrape off the leftover food and any other remaining liquid, and your machine will do the rest. As a general guide, pre-rinse only when you have burned-on or dried-on food sticking to your plates. Load it to the max. The dishwasher uses the same amount of water and energy whether it’s half-full or completely full, so it’s best to always run a full load of dishes. Take advantage of the energy-saving cycle. If your dishwasher has this feature, use it whenever possible. Let dishes dry naturally. 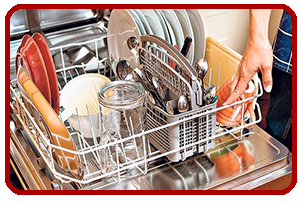 Open your dishwasher door after the final rinse to allow dishes to air-dry. If you must use a drying feature of your machine, opt for the air-dry option rather than the heated dry. Group clothes by type. Sorting clothes and drying by type will maximize drying efficiency for each load. 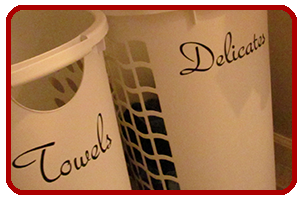 A group of lightweight synthetics, for example, will dry more quickly than a bundle of bath towels. Do several loads one after the other. 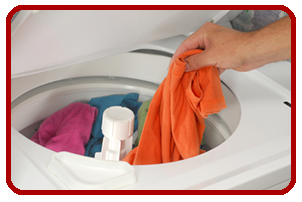 Take advantage of the heat that is still in the dryer from your first load. De-fluff your dryer filter. A clogged and dirty filter will restrict your dryer’s normal flow and reduce its efficiency. Go Solar. Whenever possible, make use of the sun and just hang your clothes to dry outside. The sun doesn’t charge for electricity! Use cold water. Modern fabrics and laundry detergents normally work well together in cold water. If for some reason it’s not enough for certain cases, try the warm wash first before going for hot water. Load the washer to capacity. It’s best to wait until you have a full load, because two half-loads take up more energy than a single full load. Wash during cooler days. Washing machines operate more efficiently at lower temperatures. Use a high speed spin cycle. Using a higher speed spin cycle will cut down on dry time. Size Matters. Measure the space the appliance will occupy in your home. Do you have enough room to fully open the appliance doors, thus ensuring that you have the right space for ventilation? Research the model number online for product reviews. Keep in mind that less energy is used up by smaller appliances (ex. microwave vs. oven, standalone freezer vs. refrigerator, etc). Choose energy efficient models. These appliance types may cost more initially, but consider make sure to consider the environment and energy savings over the entire lifespan of the appliance. Consult the EnergyGuide ratings to compare energy usage of different models. Have any questions about our appliance energy tips? Give us a call at (770) 809-1055 or contact us via email.